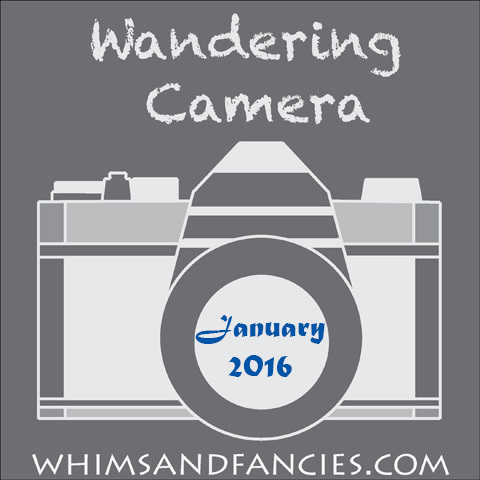 Welcome to the Wandering Camera linky party. When I started this project in January of 2016, I had no idea where this photographic journey would take me. I became more aware of my surroundings, and I found unexpected possibilities. 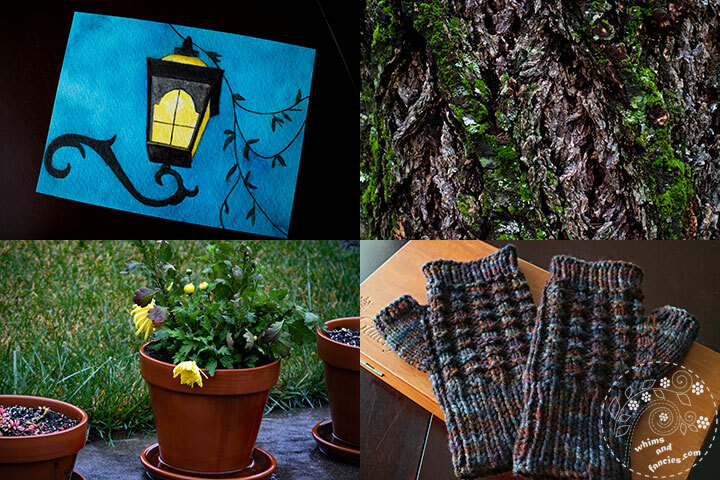 My wonderful friends inspired me to make new things which became the subject of my photography many a time. I apologise for being late with the post this month. I found myself seeking comfort in December and I let that urge continue a little longer. I spent a lot of time at the dining table working on scores of things while watching the rain outside. Comfort food, films, video games and other activities played a big part in our daily lives. The December photos are definitely reflective of that. That wraps up my Wandering Camera project. It has been wonderful sharing this project with you. I can’t thank you enough for joining me, sharing your photos, and boosting my confidence by leaving such lovely comments. I want to do a little giveaway to celebrate. My dear friend Dixie from Arranged Words is a fabulous painter. If you don’t know her already, please pay her a visit. She has very generously offered a painting of your choice from her shop. I have grown very fond of my fingerless mitts. They keep my hands warm while my fingers stay free to work the camera. So I made a pair for the giveaway (The box is not included). They are of medium/large size. Just leave a comment. I will announce two winners, one for each prize, on the 19th of January. Now it’s your turn to share your photo posts. I always look forward to seeing them. 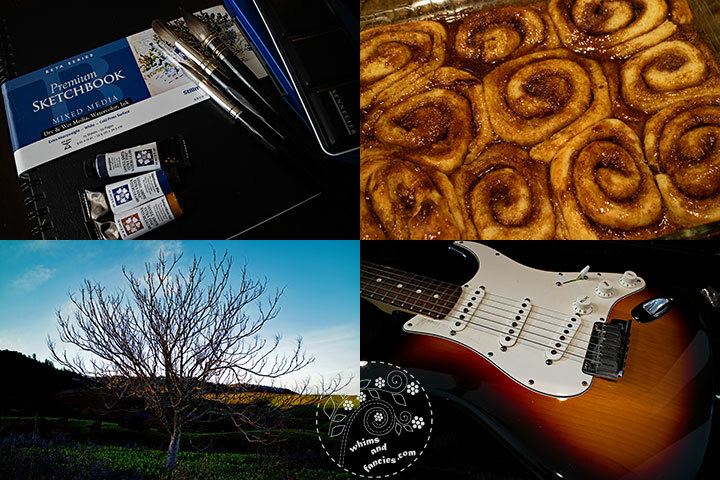 I am also linking up on Life Thru The Lens, Through My Lens, Our World Tuesday, Wednesday Around The World, Photo Friday, and Friday Photo Journal along with with other linky parties on my Events And Links page. Weirdly enough he also chose the Gandalf quote for an art project a few years ago. 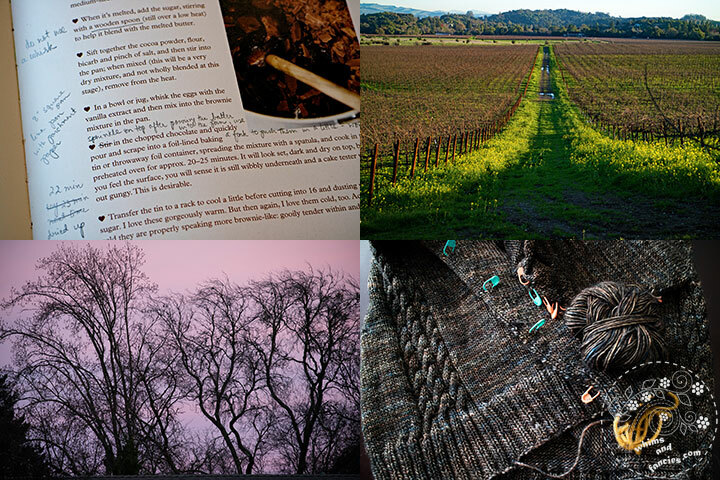 Me, I love the yarn you knitted into a sweater, and the field shots. My camera remains broken, and with a new furnace & water heater and a van that needs fixing (hopefully!! ), camera repairs are not a priority :( I’ve not been blogging much as a result. I’m going to put a reminder to myself for this month’s link up though. As always you have so many great photos I can’t pick a favorite. I am awed by your painting and crocheting skills, very talented. Great collection of photos! 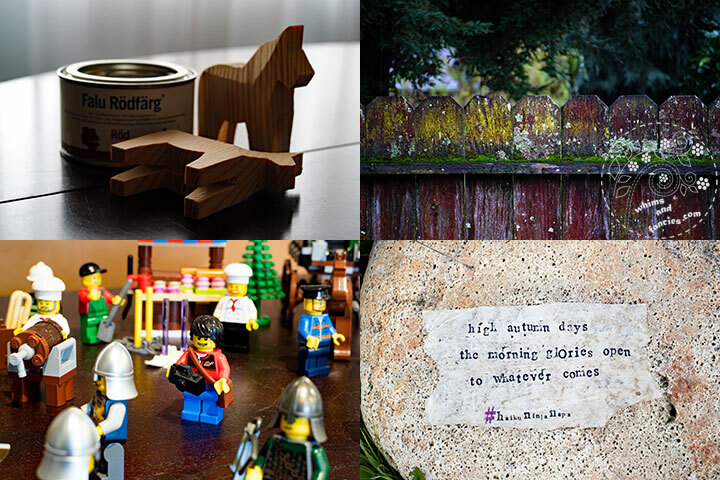 We have had a few lego constructions at our house too this month. Love when the kids get creative and actually play with toys! Just found your luscious blog. Following with bloglovin so as not to miss a single post. 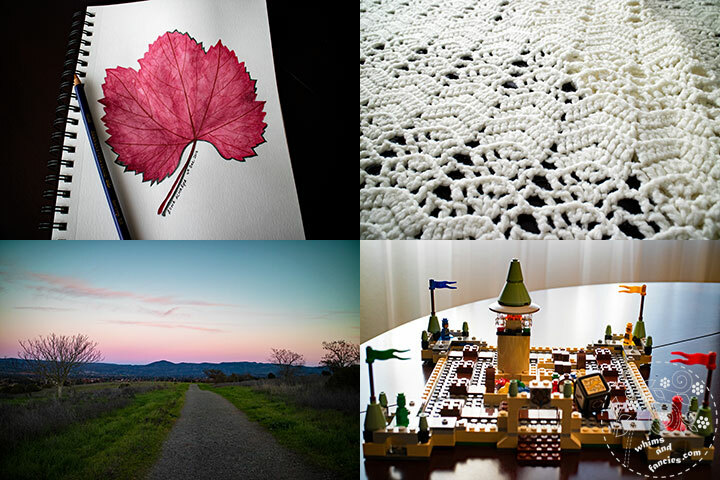 Your photos inspire and soothe–a delightful combination. 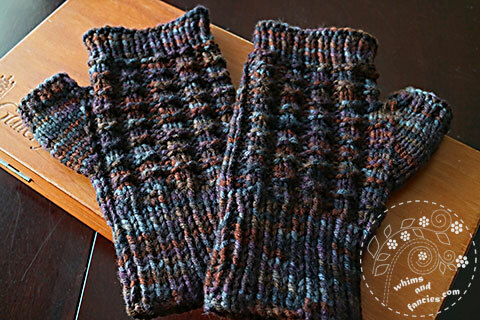 As a yarn aficionado, loving your fingerless mitts. I’ve crocheted several pair and just gave away my most recent to a Montana friend-would love to win the ones you knitted; the yarn color matches the blanket I just crocheted for my bed !~! Imagine that ! Looking at your photos makes me want to take up photography again. I really like the photo with the downpour. For a strange reason I can really enjoy pictures of rain and snowfall, but I definitely don’t enjoy being outside while it’s happening! And yes, those cinnamon rolls look really yummy. What a colorful lovely mosaic of your life, thanks for sharing all the beauty of little things. 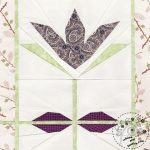 Please don’t enter me because I have not been taking part in the challenge – lovely giveaways though! – I just wanted to say what great photos, and how lovely they are. I like the lego ones especially for some reason! 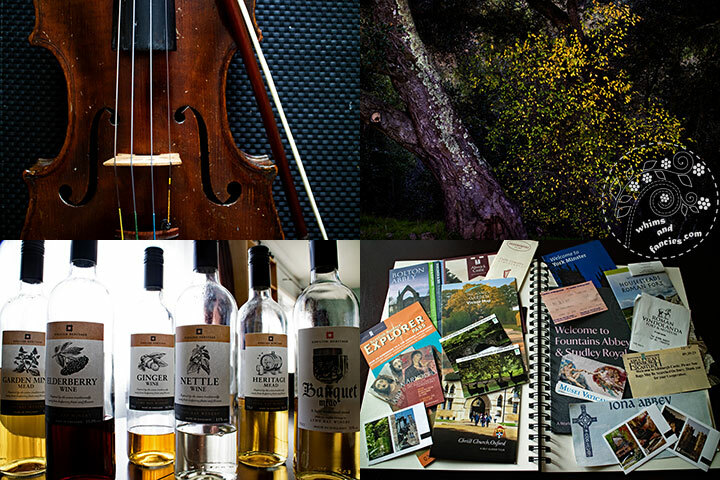 I enjoyed all the photos, especially the violin :-). I love them all but the cinnamon rolls jumped out at me! 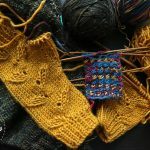 Love all the knitting you do:) Ah, finally meeting a knitter! And is it you who plays the violin? 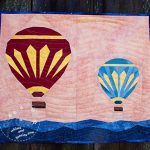 What do you use for your mosaics/collages? Am looking for a better one than Smilebox…Thanks for writing me back:) Have a great weekend. Once again, your photos are fabulous. My mouth is watering over those cinnamon rolls. I also loved the winter solstice and the moss and lichen on the fence. Those colors were amazing. I hate to see the series end, but I trust you will continue to post such gorgeous photos for us to enjoy. I’m here for the first time, thanks most sincerely for hosting ! What a lovely collection of photos – such depth and composition – I had to go back several times to study the photos – they are glorious. Thanks for this linky party. Another wonderful array of photos. I love the outdoor photos and especially the beautiful skies and the colourful moss on the fence. The sweater is really coming along. It’s gorgeous! Instruments to die for. The guitar looks like a Fender. And the mitts look so lovely and warm. Someone’s about to be very lucky! Thank you for hosting the link party. Long may you wander! Did I mention the teapot? It’s beautifully elegant. It sounds as if you have had a lovely December, enjoying things you love. 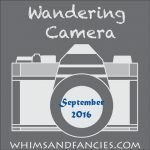 Your wandering camera is always a highlight of my month. 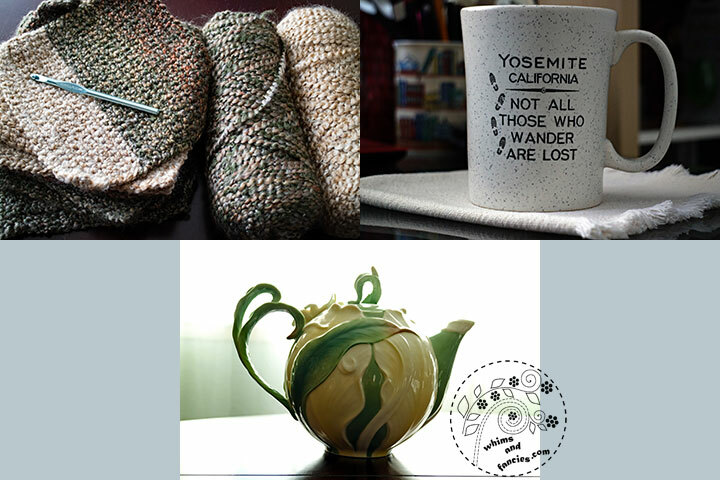 Your Winter Solstice is breathtaking, your one and only crochet piece lovely and that teapot…..LOVE your teapot! I can’t wait to see what beautiful photography you share with all us lesser mortals, this year, Soma. 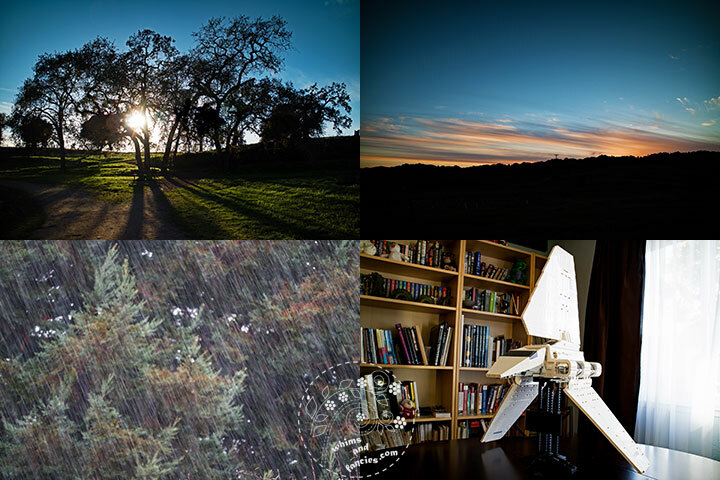 I really enjoyed your beautiful year of photos, especially the sunrise and the sunset ones. Thank you for helping us to discover the beauty of the simple things in our lives. I love your site and have passed it on to my granddaughter who has a love of taking pictures I hope never dies. She is so good. Thanks for the chance to win. Your photos are quite beautiful. I love all of them but my favorites are the sky photos. Thanks for hosting the link-up. Soma, beautiful photography as always! I’d like a cinnamon roll right now! Your winter solstice photo is beautiful. Thanks for hosting this link up all year. I’ve enjoyed everyone’s photos as well as sharing some of my own.